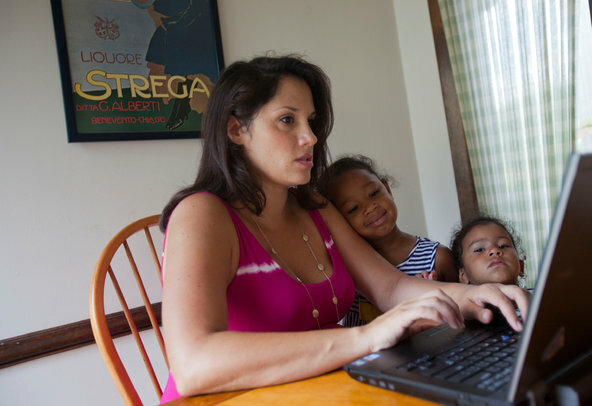 Jessica Kourkounis for The New York TimesTherese Allison, 35, with her daughters Olivia, 4, center, and Amaya, 2. Ms. Allison, who is uninsured, had difficulty finding the price of a normal delivery. We’re continually told that when it comes to health care, we need to be savvy and shop around for the best prices. To that end, policy experts and politicians promote health care savings accounts, saying they make “health care consumers” (a k a patients) more conscious of prices, bringing down the cost of medical care. Here is what happened to my daughter, Therese Allison, when she tried to be just the sort of shrewd and informed patient that politicians should love. Therese is more than seven months pregnant and uninsured — in fact, she is uninsurable. Pregnancy is a pre-existing condition, so she can’t gethealth insurance at any price. And now that the birth of her baby is imminent, she wants to find out what a delivery will cost, maybe even negotiate a price for this expensive procedure. In a way, she’s lucky. She and her husband, who are self-employed, live in New Jersey, so she qualifies under a little-known and unadvertised law that caps hospital expenses for uninsured people with incomes less than five times the poverty level. Under the law, a hospital can charge 115 percent of what it accepts fromMedicare for the same services. Although most Medicare beneficiaries are 65 or older, the federal program also includes younger people who are disabled. As a result, Medicare covers pregnancies. California, New York and, as of last year, Colorado, have similar laws, but none are as generous as New Jersey’s. Her Alice in Wonderland tale began in June, when Therese’s midwifeoffered to call the two hospitals she uses and get their prices. Therese is planning and fervently hoping to have a normal vaginal delivery, without an epidural anesthetic, and to leave the hospital the next day. Elmer Hospital, in Elmer, N.J, said it would charge $4,300 for a normal delivery without an epidural and with no complications. Newborn care would be $1,400 more. Kennedy University Hospital, in Washington Township, refused to say, but told the midwife that Therese could apply for Medicaid or New Jersey Family Care (she does not qualify for either) and could apply for charity care if she was turned down. If accepted, she would have to pay only a fraction of what the hospital charged. But what would the hospital charge? The hospital was mum, saying it could not give a price because if Therese needed additional services, its quote would be wrong. Therese called the hospitals herself. But all she heard — after calling Kennedy University Hospital three times and asking for a price — was two voice mail messages. In one, she was told to apply for New Jersey Family Care. In the other she was told to apply for Medicaid. Isn’t there a law, Therese asked me, requiring hospitals to reveal their prices? I asked Uwe Reinhardt, a Princeton health care economist who is a frequent contributor to The New York Times. No, he said. Hospitals do not have to tell you their prices, and often they keep them secret until they send the bill. The commission then recommended that all hospitals be required to list their prices for their top 25 procedures. That never happened, but instead the New Jersey Legislature passed the law limiting hospital charges for the uninsured with low incomes. The problem, though, is that even if you know what a hospital charges, you may not be able to find out what Medicare pays. Medicare publishes a giant spreadsheet with its payments for the 100 most popular hospital procedures and treatments in 3,000 hospitals across the country. Pregnancy is not on the list. Even people with insurance can have a hard time finding out what they will have to pay. After my inquiry, Dr. Reinhardt did a little sleuthing. Private insurers, he said, claim they let patients know what their out-of-pocket costs are likely to be. So he checked UnitedHealthcare’s Web site. First he put in “normal delivery.” Nothing came up. He tried “vaginal delivery.” Nothing. Then he tried another common procedure, an appendectomy. Nothing. “It is all so pathetic,” he said. Last month, Senator Charles E. Grassley, Republican of Iowa, and Senator Ron Wyden, Democrat of Oregon, introduced a measure to make Medicare reveal what it pays providers for every service. Mr. Wyden said the uninsured could use the data to negotiate, as could people with health care savings accounts. A searchable list of Medicare payments should be a fundamental service, Mr. Wyden said. If that bill were law, Therese’s problem would be solved. But for now, she needed some extra help to find out what those two hospitals were allowed to charge. So I e-mailed Donald McLeod, a Medicare spokesman, and asked for assistance. He got the answers. Medicare would pay Elmer Hospital $3,550 for a normal delivery without an epidural and $1,028.30 for newborn care. Kennedy is a teaching hospital, so it gets bigger payments: $4,327.60 for a normal delivery and $1,253.55 for newborn care. I finally called Kennedy Health System, identifying myself as a reporter, and not surprisingly was given a price. The system’s president and chief executive, Martin A. Bieber, called to tell me. A normal delivery is approximately $4,900, and newborn care costs about $1,400. And, he added, Kennedy charges all uninsured patients those prices, which are 115 percent of the Medicare rates, no matter what their income. In a way, even with the overcharges by Elmer, its prices — and Kennedy’s — look like a bargain. Dartmouth, one of the few places that posts its prices, says it charges the uninsured about $11,000 for a normal delivery and newborn care. Meanwhile, Therese found the bill for her previous pregnancy. She had a normal delivery with no epidural in December 2010 and refused all extras, even Tylenol. She was insured, and her baby was born at the University of Pennsylvania. Her insurer’s negotiated price? $16,672.